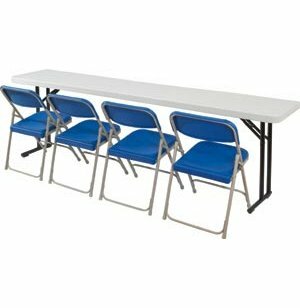 Lightweight Folding Seminar Table 96"x18"
Premium Lightweight Folding Chairs (model LW-800) sold separately. 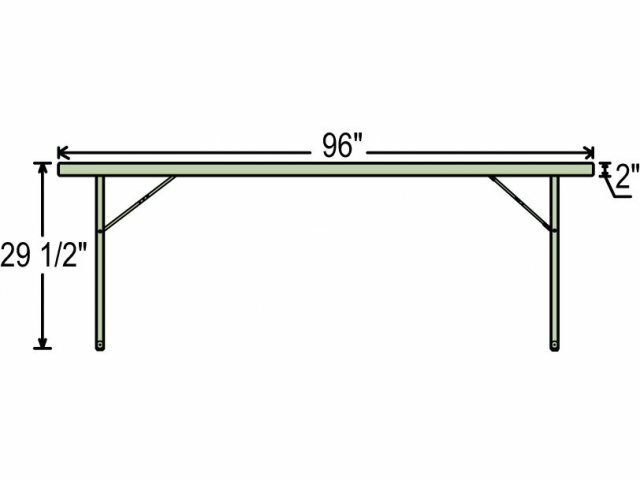 Extra-long training tables provide more seating per folding table. 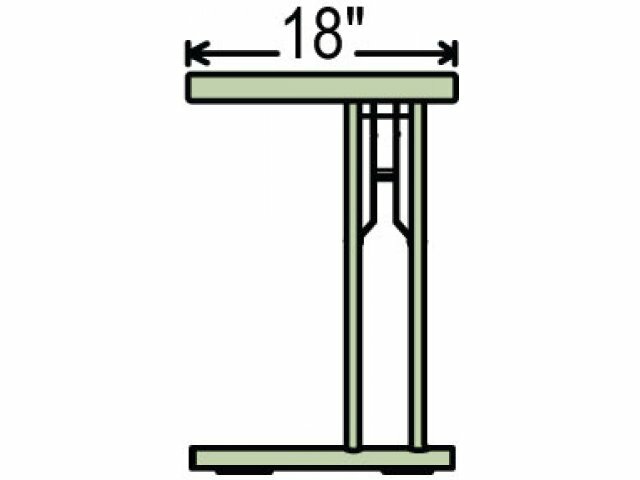 These plastic tables have cantilevered legs which prevent knees from knocking against tables. 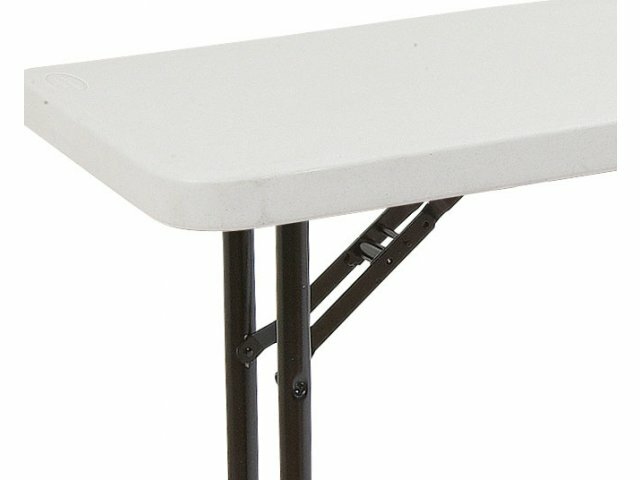 Weighing only 42 pounds, these folding tables are easy to move and store. These folding seminar tables are made from blow-molded thermoplastic for a design that is rock hard yet smooth enough to write on. Despite their solid design, these are lightweight folding tables. 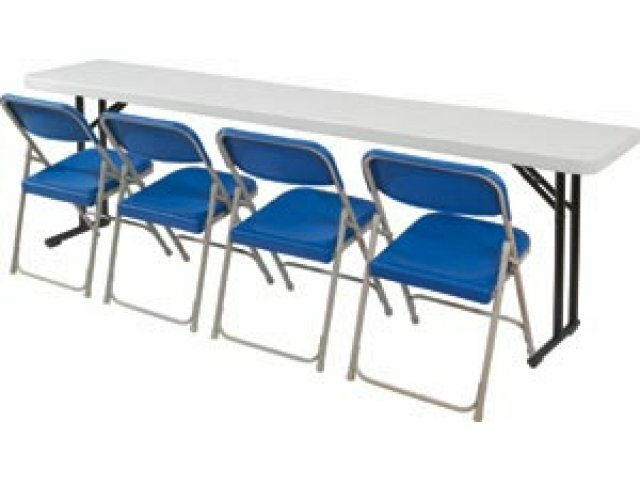 Useful for ongoing or temporary needs, these tables can be set-up or folded in seconds. Tabletops feature a lightly textured surface that resists scratching, but is smooth enough to write on. Comfortable Seating: The cantilevered frame design affords extra leg room for additional comfort. Extra-Thick Tabletop: The 2 inch thick tabletop is built to withstand the rigors of everyday use. Super-Resistant Finish: In addition to scratches, the blow-molded plastic finish also resists gasoline, paint thinner and even harsh chemical products like battery acid and drain cleaners. Virtually Maintenance-Free: Regular, everyday spills and stains come off effortlessly, and even tough materials like spray paint and permanent marker literally wipe clean with a strong solvent such as paint thinner. Easy Storage: Tables fold smoothly and easily for trouble-free moving and storage.